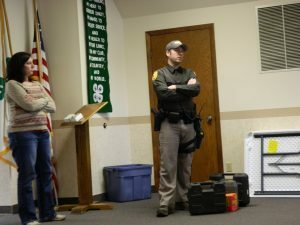 Danielle Schalinske, Buffalo County Human Services social worker, and Deputy Mike Osmond of the Buffalo County Sheriff’s Department speak with members of Hill & Hollow 4-H club about their roles on the Drug Endangered Children Team. Annie Lisowski of the Buffalo County 4-H Leaders Association presented the Buffalo County Sheriff’s Department and Buffalo County Human Services Department a check for the Drug Endangered Children Team. 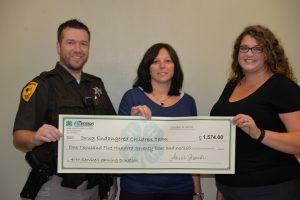 The 4-H Clubs in the county raised $1574.00 to help support the Drug Endangered Children Team. 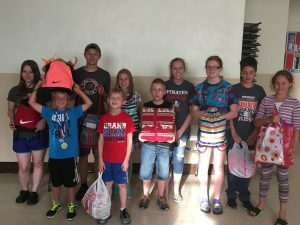 The 2016 Buffalo County 4-H Countywide Service-Learning Project was to support drug endangered children who are removed from their homes in partnership with child protective services and law enforcement by providing infants, children and teenagers with a comfort bag. 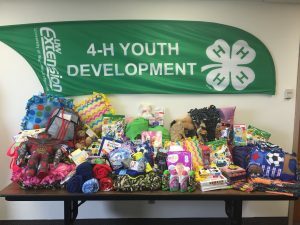 The 4-H Leaders’ Association is challenging every 4-H Club in Buffalo County to get on board and actively participate in this year’s countywide service-learning project in their own way. 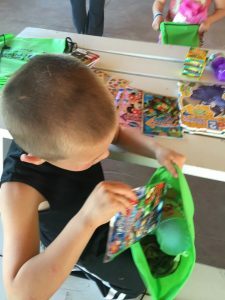 Comfort Bags ready for those in need. 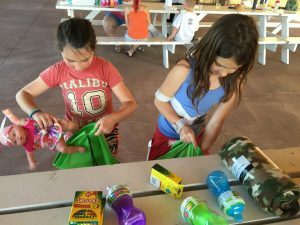 Comfort Bags being put together by Buffalo County 4-H Youth. Keep in mind that drug endangered children are stripped of all the belongings that make them feel safe and comfortable and are likely going to live in a new home and possibly a new school. Remember to include items that can help them feel calm and important. 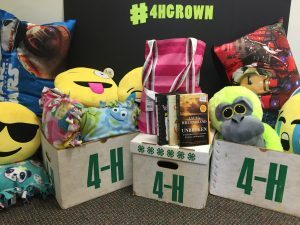 $25 for shoes and clothes (monetary contribution only as these items need to be new and individualized for each youth) Checks can be made out to Buffalo County 4-H Leaders and will be distributed to DEC at the end of the project.